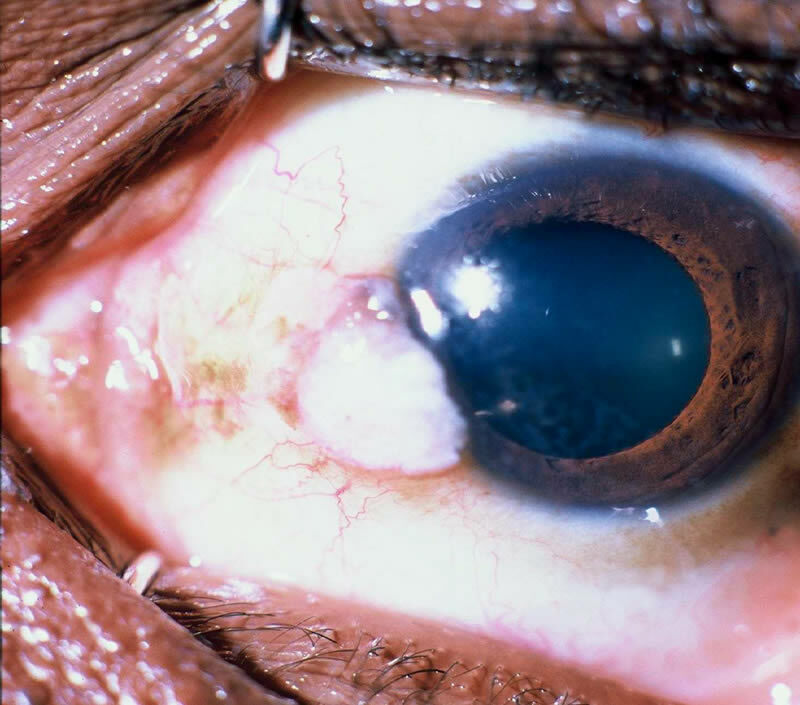 This 40-year-old patient in Africa presented with a history of a non-painful swelling on the conjunctiva first noticed three months ago. There was no history of injury. The other eye was normal. Produced in collaboration with the International Council of Ophthalmology (ICO).